Plenty of room for you and your hobbies. Over-sized rear entry garage with area for a workshop. 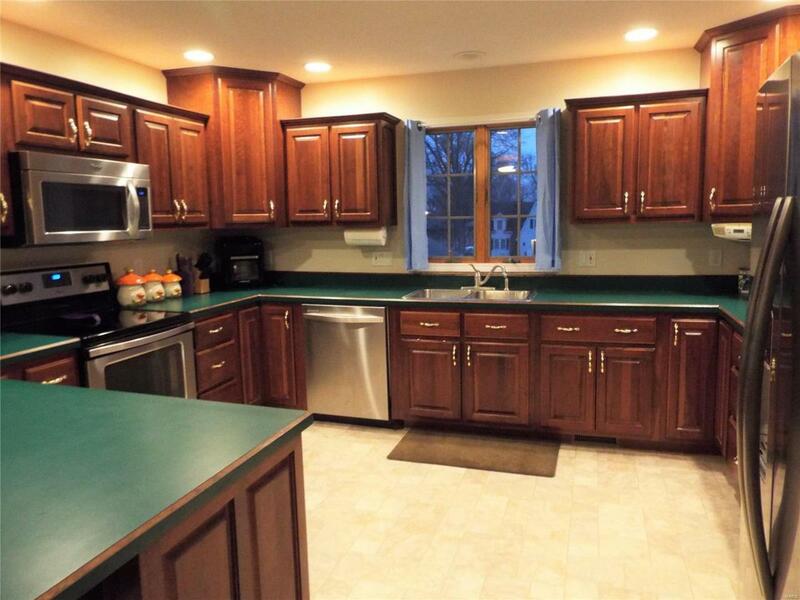 This home has ample cabinetry and counter space galore. Enter into the over sized living room which has a view to the lofted dining room and kitchen. 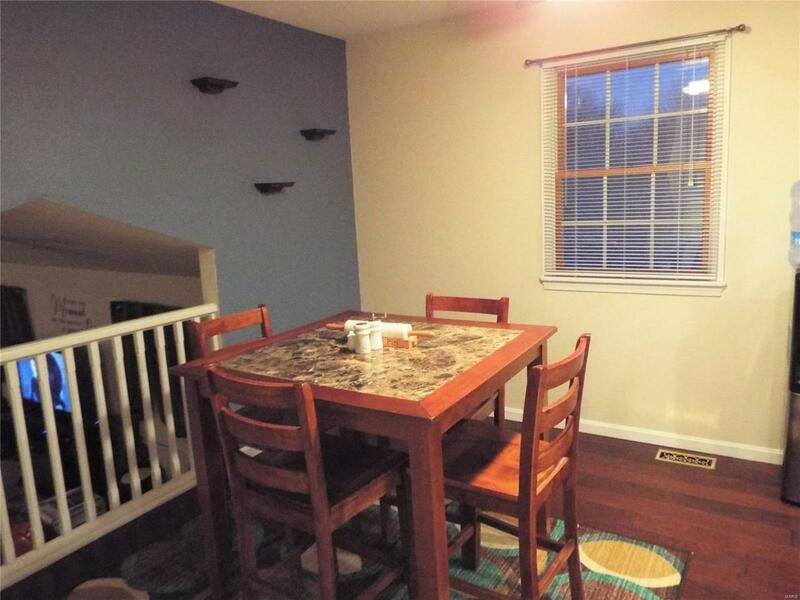 The location of the dining room brings it all together. 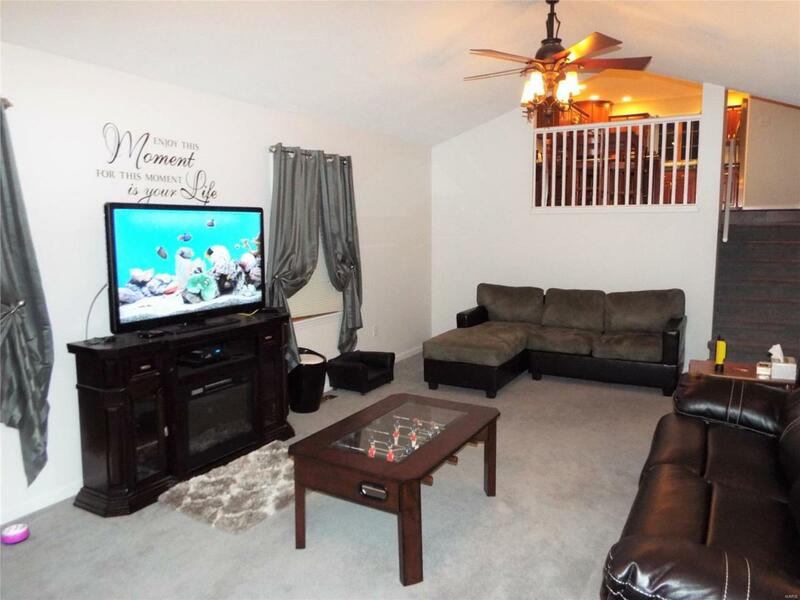 The master bedroom and bath are conveniently located on the main level. There is a walk in closet in the master bedroom. The upper level features an additional bedroom, full bath and laundry room with sink and cabinets. The lower level has a spacious family room, an exercise room or office and an additional 1/2 bathroom. The lower level has tile flooring. 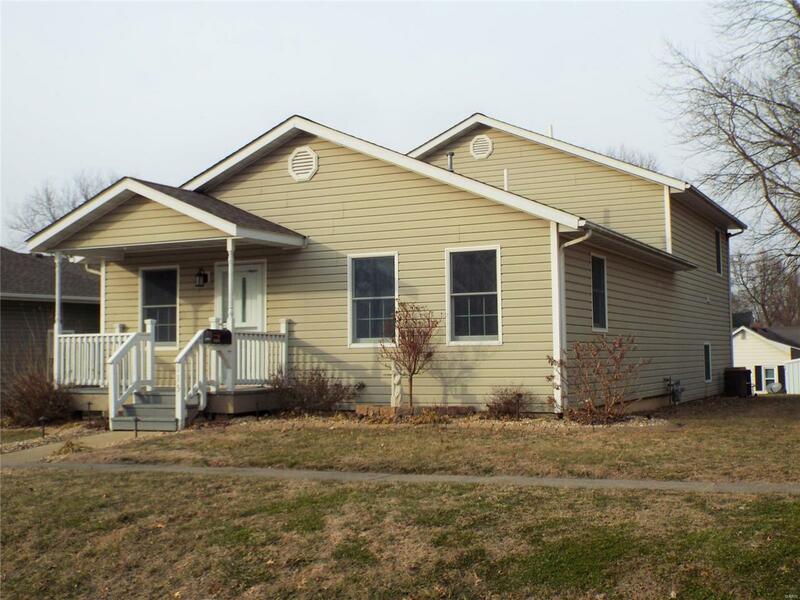 This home is an easy commute to Scott AFB and Mid America Airport. Access I64 from New Baden to the south or Air Mobility to the west. The metro St Louis area is about 30 miles west. Welcome to small town living with plenty of great features such as a tree lined city park and municipal pool, nice restaurants, good schools and more!